Okay, I couldn’t resist. 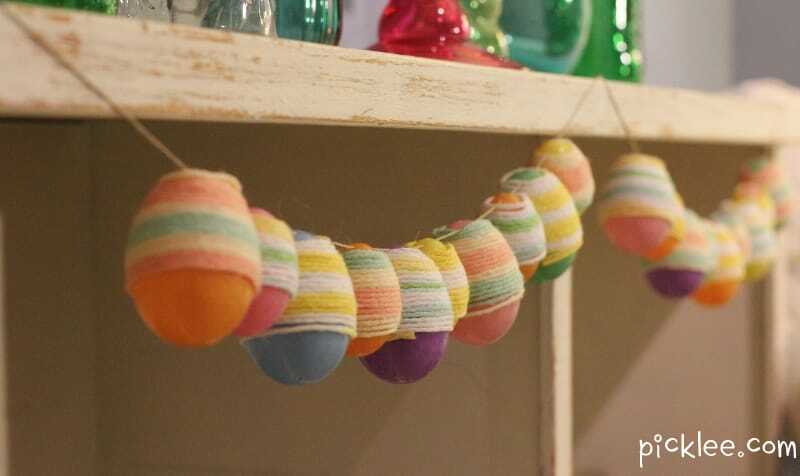 I had to get in just one more fun Easter project before the big rabbit arrives on Sunday… If you liked my Polka Dot & String Wrapped Easter Eggs than you are sure love this retro Easter egg garland I created using yarn, hemp and those standard plastic Easter eggs (you can buy at any dollar store). This is another great project to do with the kids and the result is certainly impressive! 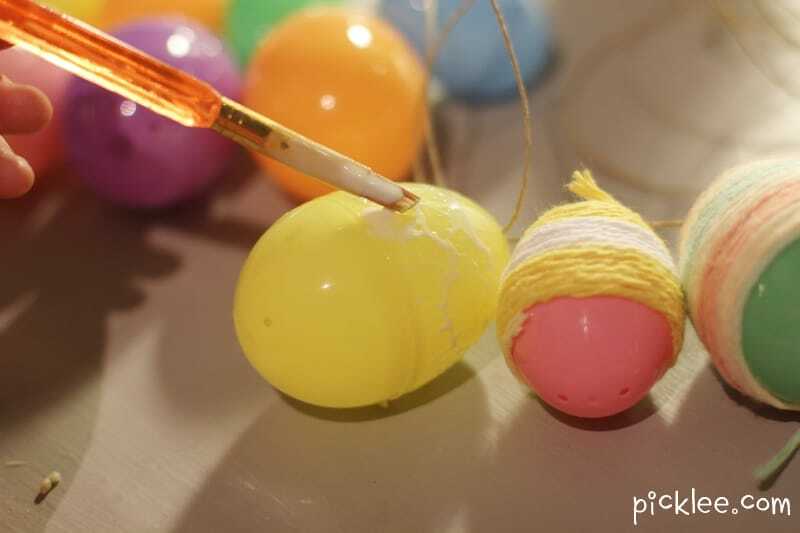 String the eggs along the hemp in alternating sizes-large and then small. 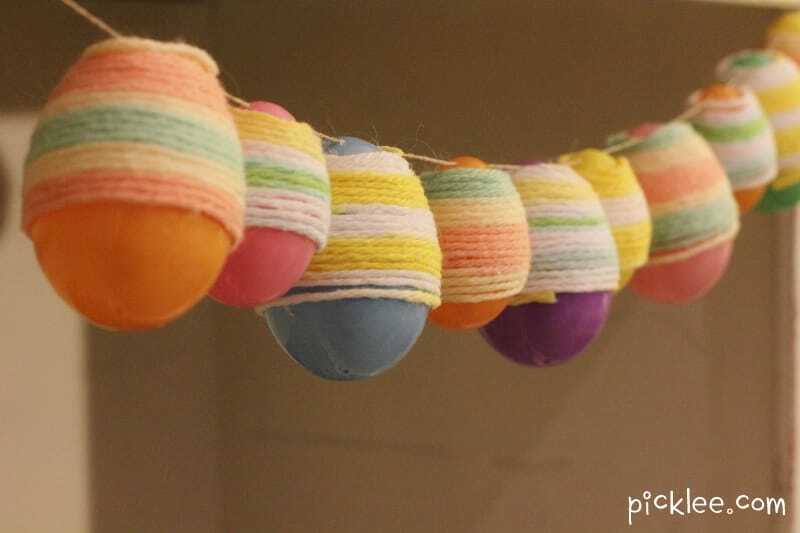 You will wrap the yarn around the eggs while they are attached to the string (you need to open the egg to attach it to the string and you can’t do this after it’s wrapped). Apply a thin layer of glue to the top half of the first. 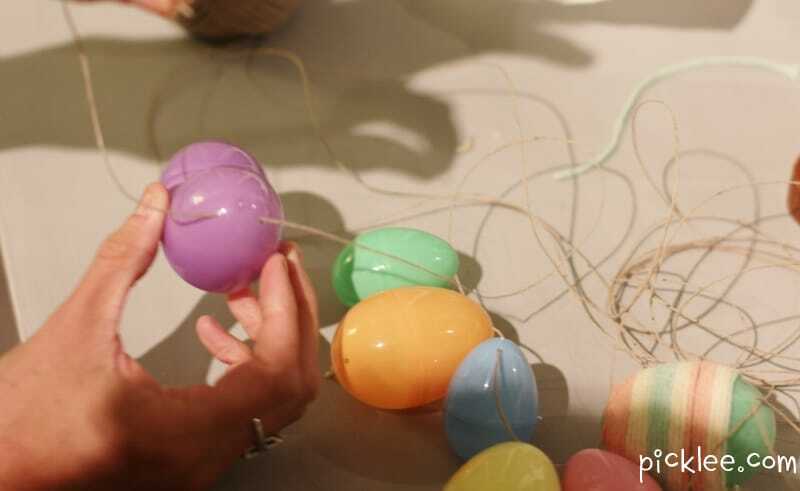 Begin wrapping a strand of yarn around the perimeter of the egg. Apply glue to the bottom half of the egg when you get to it. 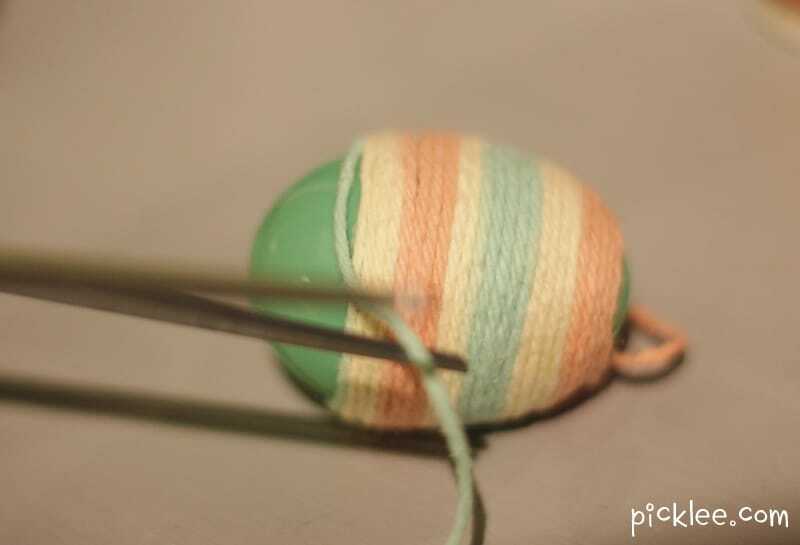 You will not need to use a lot of glue, the yarn will stick to a surface thats just slightly tacky. Cut the yarn when you’ve covered approx. 3/4 of the egg. The purpose is to allow just a bit of the bottom of the egg to peak out. Apply more glue as needed to secure any loose ends. 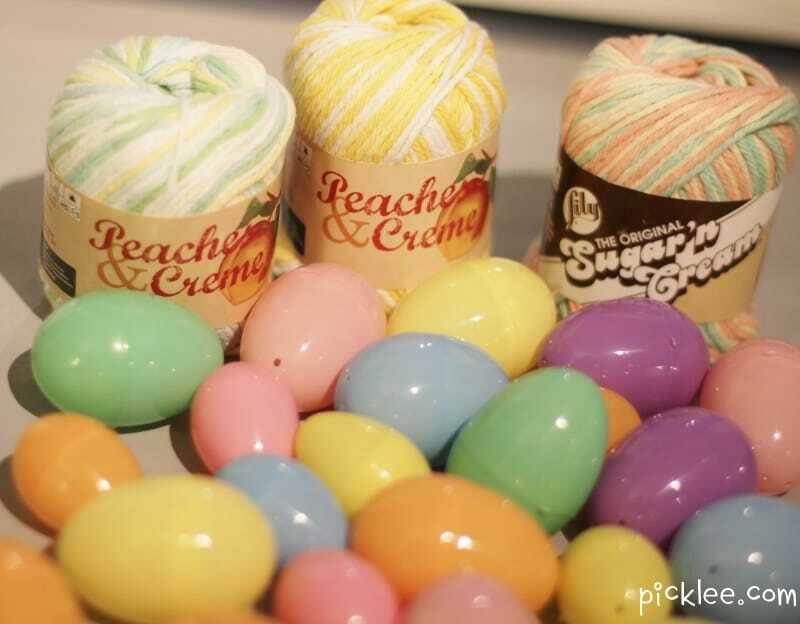 Continue to apply the yarn in alternating colors to all of the eggs. 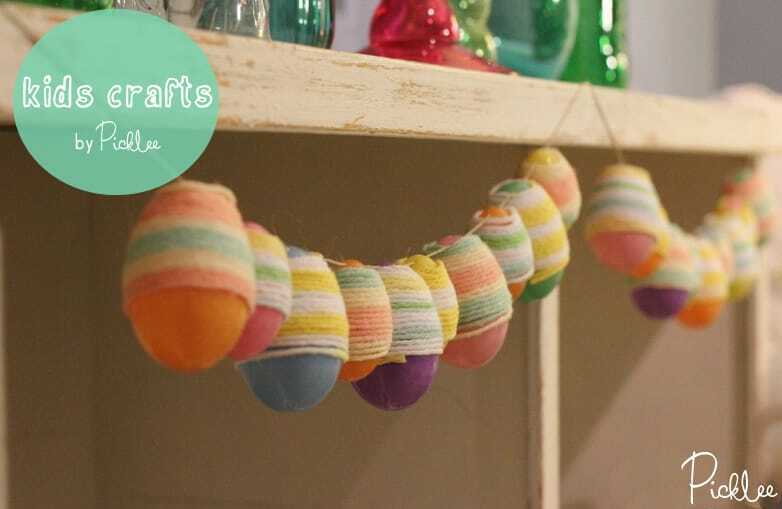 Once you’ve finished applying the yarn, tie off the hemp ends and there you have it, a fabulous Retro Easter Egg Garland for under $5! How do you put the holes in the plastic eggs to string them on the hemp?